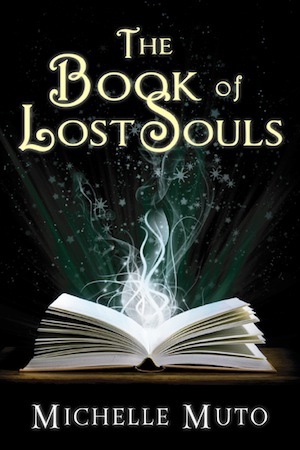 The Book of Lost Souls is a young adult fantasy novel by author Michelle Muto. This book definitely had its own charm to go with a fresh new perspective! It is a quick read, but the characters were engaging and the storyline kept me entranced from start to finish. This is a young adult novel I would definitely recommend to my 15 year old daughter and her friends and I believe it is appropriate for readers starting in middle school. The story definitely gave closure, but left itself open to possible future books in a series. I certainly hope that is the case, because I would love to read more of Ivy's adventures in the future. Congratulations to Michelle Muto on her very entertaining first novel! I hope to be seeing more from her in the future.